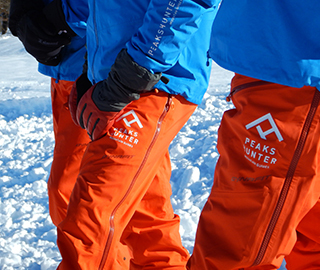 We are a team of qualified Mountain Guides: we love our job, we nurture our passion for the mountains and we are always looking for new adventures to share with you and to remember. We are ready to guide you to the discovery of the mountains, enabling you to enjoy exciting adventures at high altitudes. With our experience and expertise we are able to gauge and manage any situation, to ensure your safety and to win with you even the toughest challenges. We are a team of IFMGA certified Mountain Guides: we have a high level of technical training and we continue to refresh our skills in all disciplines, to ensure the utmost professionalism. We can also offer you a range of useful services for your excursions, and we can provide advice and operational support for your stay. And if you want to make your achievements truly unforgettable, we can capture them on photos or videos. On our website you can find many offers, designed to meet the needs of both beginners and the more experienced mountaineers. However, if you have a dream and we will be happy to help you realize it or propose the most appropriate route for you. We like to complete each experience rediscovering the taste of the local flavours and toasting to the goals we achieved together. Do you have a dream? Tell us about it!